Preparations are underway for the wedding of Alex Cross and Bree Stone. Alex’s family is excited and happy about the wedding. Kyle Craig, Alex’s sworn enemy, is thinking about Alex’s wedding and determined to do whatever is necessary to make Alex’s life miserable. His plans to disrupt the wedding sound perfect. Alex’s wedding is put on hold when a gunman begins a killing spree. The killer’s victims include people whose names are well known in Washington not only for their positions but also for their corruption. Max Siegel of the Washington field office steps in to assist with the investigation. Alex is not pleased with this arrangement and has an immediate dislike for Siegel. As if Alex doesn’t have enough on his plate, he receives a phone call from Kyle Craig. Alex suspects that Kyle is in Washington but has no idea how to find him. Alex is seeking at least one shooter and maybe two, working with Siegel and trying to keep his home life in order and that is not an easy task. 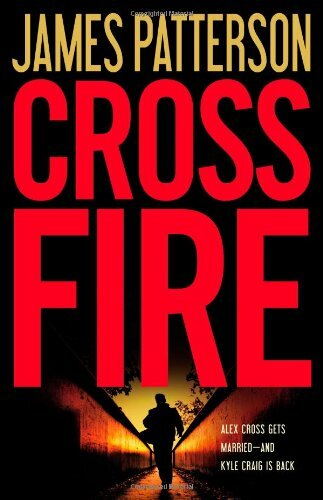 Cross Fire is full of the characters of previous Cross books that Cross fans will enjoy reading about. The story is complicated with a lot of action. Kyle is always there – just out of Alex’s reach. This latest addition to the Alex Cross series is one that Patterson fans will not want to miss.